Fox and Marvel are at it again! They have released a viral marketing campaign for X-Men: Days of Future Past based on the assassination of John F Kennedy. This past Friday, November 22nd, marked the 50th year of his assassination. So this was a good tie-in with the conspiracy. 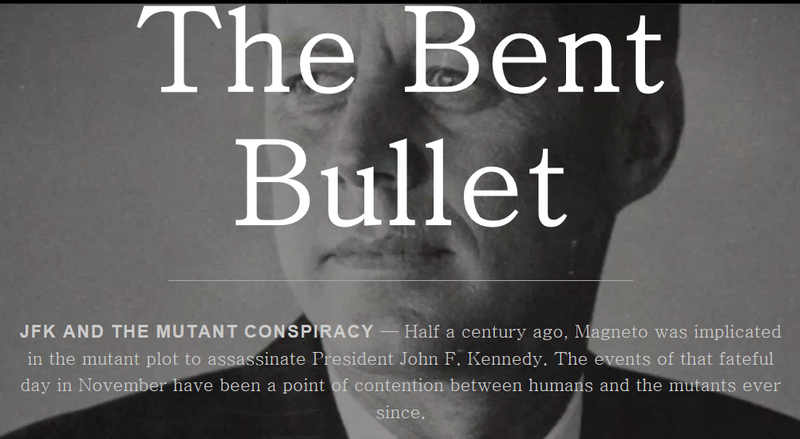 The website, thebentbullet.com, shows a fictional story of how Erik Lehnsherr (Magneto) was tried and convicted of murdering the president. It shows another side of the conspiracy. It’s pretty cool but sad at the same time. It has been 50 years since the assassination that took the president’s life and Fox/Marvel is pulling at the heart strings in this campaign. To see X-Men: Days of Future Past trailer, click here.